Your organization's culture can feel like something that has a life of its own; it's long-standing, inherited, and seemingly impermeable--in fact, a strong culture is often an obstacle to doing new things or going in new directions. But leaders are the stewards of a company's culture and have the power to shape it. The best leaders know that organizational culture is a fundamental and powerful management tool that can drive positive outcomes. 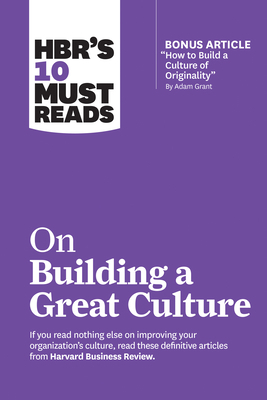 If you read nothing else on building a better organizational culture, read these 10 articles by experts in the field. We've combed through hundreds of articles in the Harvard Business Review archive and selected the most important ones to help you assess the type and current state of your company's culture, communicate change, do things differently, and anticipate and address implementation challenges.